*Also great for juices, smoothies and pudding recipes. Sign up, create your board, search and start pinning your chosen recipes. E.g. easy energy bars, high protein breakfasts, easy on the go lunches, nutritious easy meals. When clicking on a chosen recipe it will send you to the website where the recipe was pinned from. Usually you can print these recipes and create your own recipe file. A website that rates itself on being the best site for recipes. I prefer using the app on my phone, it feels easier and more convenient to use. Yum (as the app is labelled), is ideal for those times when you only have a select few ingredients left over in the fridge and you want some ideas on what to cook. It is also great for finding recipes using your favourite ingredients. On your chosen recipe you get a clear break down of ingredients, nutrition content (calories, fat, protein and carbs), time to prep and directions to cook (all of which can be easily viewed from a smart phone screen). You can even save your recipes and create your own shopping list. This works in a similar way to yummly. 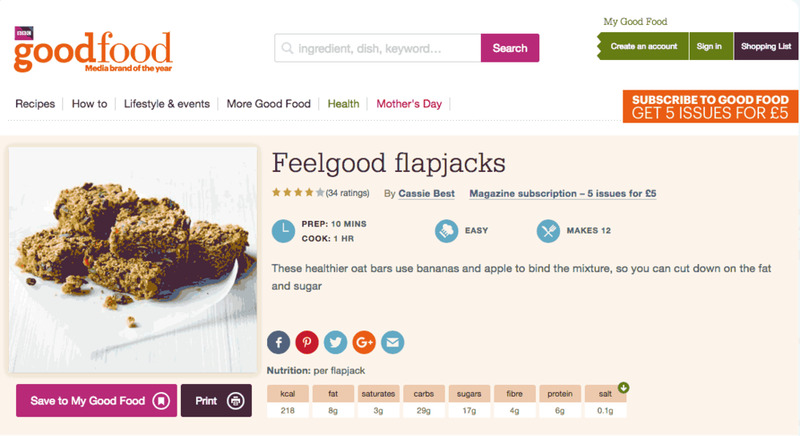 Type in your ingredients or search using the recipe tab and choose from the list of suggestions (e.g. healthy, quick and easy, special diets, vegetarian). You can even create your shopping list and cost of ingredients which is great to help with your meal planning and budget for the week. As with all recipe search sites, you do have to use good judgement and your nutrition common sense on what are the healthier versions, but you can clear this up with a matter of using a few simple words in your search such as nutritious, healthy, nutrient dense. I use pinterest the most finding it the easiest and quickest. There are hundreds of recipe search engines/apps, these are just a couple of my go to ones, if you have any more suggestions please share in the comments below.